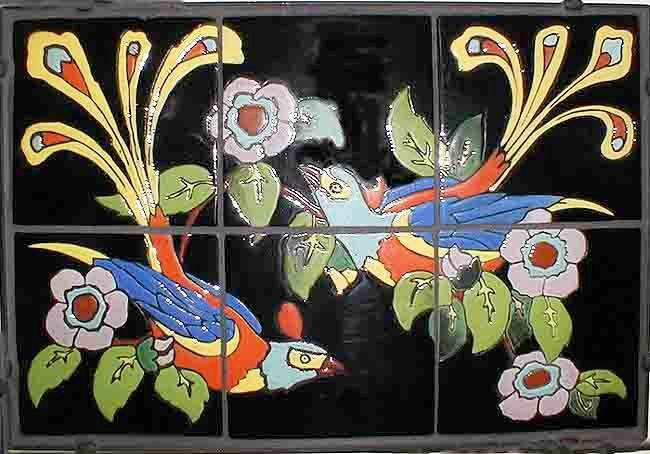 ART TILES: Decorated tiles fashioned with artistic creativity. BLACK LINE: The same as DRY LINE but color is added to create a black line between colors. CRAZING: Small, fine cracks in a glaze. CUENCA: Spanish word for "basin". Raised lines separate colors on the tile. CUERDA SECA: Spanish for "dry string". Wax coated string is used to separate different colored glazes. Also known as WAX RESIST. ENCAUSTIC: Translated from Greek, meaning "to burn". Two types of clay pressed together to form a tile. EXTRUDED: Tile that is cut out from a metal die. FAIENCE: Glazed and decorated tiles with a bisque background. FIELD TILE: Commonly used in construction, usually in solid, plain colors. GLAZE: The fired coating on a tile. GROUT: Material used in between tiles to hold them together in installed applications. 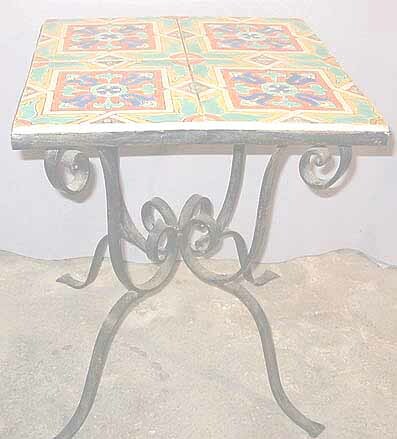 MOORISH: Decorating style derived from Spain. Inspired by the Moors. RAISED LINE: Same as CUENCA. Raised lines separating colors on a tile. HISPANO-MORESQUE: Decorating style originating in Spain. SLIP: Solution of clay and water. SILK SCREEN: Method of decorating tiles by forcing glaze through a silk screen allowing many colors to be used. TIN GLAZE: A glaze using tin oxide. WAX RESIST: Wax coated string is used to separate different colored glazes. Same as CUERDA SECA.